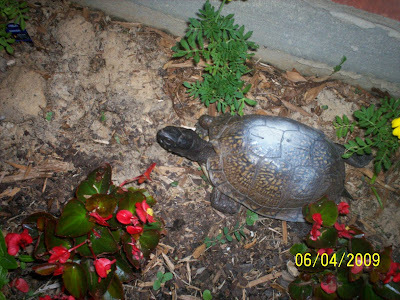 Our visitor is not really walking slow. In fact, he made a walkaton...LOL! He stopped and looked at me, implying a message like: "Hey, will you leave me alone?" LOL. 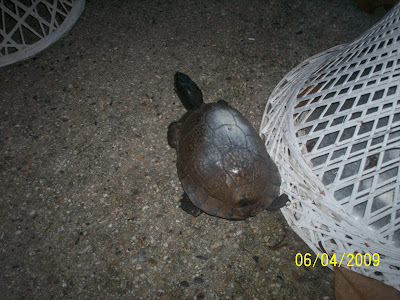 It happened when I saw this creature crawling under the grill at the porch. 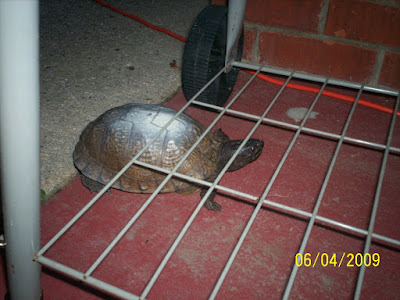 I helped out, lift the grill because the turtle was trapped. 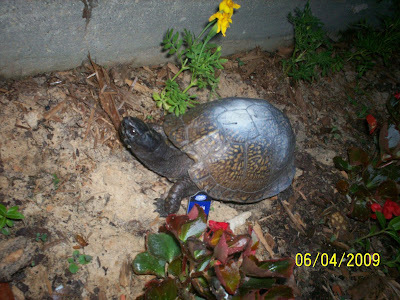 Then, he moved around and I feed the turtle. Ignoring the food, he moved along and circling the place.